Episode 12 - We Survived Calgary Expo 2017! Calgary Expo 2017 has come and gone. Join GameOnGNT's Jeff, Shayla and Steve as they reflect on three days of Expo. We're talking about the best panels we saw and missed, the amazing cosplayers, shopping and our favorite celebrities. 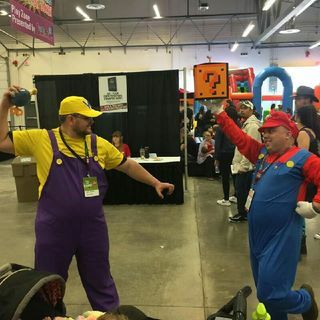 For anyone who went to Calgary Expo, what was your favorite moment or favorite cosplayer at this year's event?